In Absence of Evidence is a documentary film that tells the bold story of Dr. Elmi Muller, a South African female surgeon who performed the world’s first HIV-to-HIV kidney transplant in 2008. At a time of HIV denialism in South Africa, where patients with end-stage renal disease and HIV had no option but to die, she pioneered an established procedure on a stigmatized population. ​South Africa remains a country scarred by Apartheid, which is evident in the extreme socio-economic disparity and one of highest prevalence rates of HIV in the entire world. I have the opportunity to start and complete this project with your help! I would appreciate any support you can offer. 10 years ago today, a fearless surgeon performed the world’s first transplant of an HIV+ kidney into an HIV+ recipient at Groote Schuur Hospital in South Africa. Where many in her place would step back, she stepped forward. When institutions built walls around her, she broke them down. 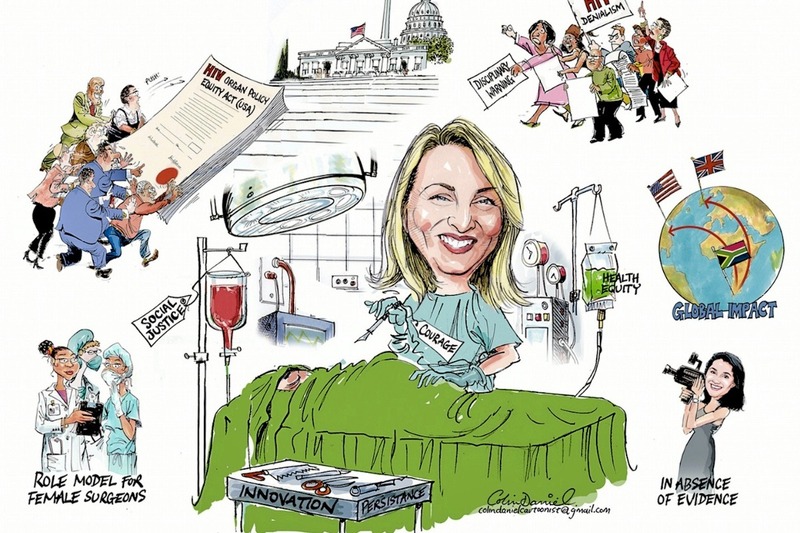 When government officials threatened her career, she persevered. This past year I was privileged to serve as a Fulbright Scholar in South Africa under the mentorship of Dr. Elmi Muller. Prior to my arrival, what I knew of the pioneering procedure was limited to the scarce reports by the media and a handful of publications in the literature. But when Elmi first told me her journey, I knew that there was more to this story that people needed to hear. Thus, I have started filming a documentary, In Absence of Evidence, in order to raise awareness of this landmark procedure, highlight women in surgery, promote organ donation and most importantly, honor her laudable contribution. Dr. Muller's perseverance in pushing this life saving innovative approach forward in the absence of evidence and in the face of resistance is nothing less than commendable. She has laid the foundation for scientific discovery, impacted legislation beyond the borders of her country, and has made a significant contribution towards health equity. With over 100 surgeries in 3 countries and over 100 research citations in her repertoire, the ‘Muller Effect’ has only just begun. Well, we see you as a hero. Donate Life Hollywood (DLH) is a national campaign serving as a liaison between the organ, eye and tissue donation community and the entertainment industry. The goal is to help Hollywood write authentic and positive donation and transplant storylines by simplifying access to expert consultation, spotlighting dramatic stories and featuring medical breakthroughs. DLH also builds partnerships actors, producers, writers and others who speak out in favor of organ donation. 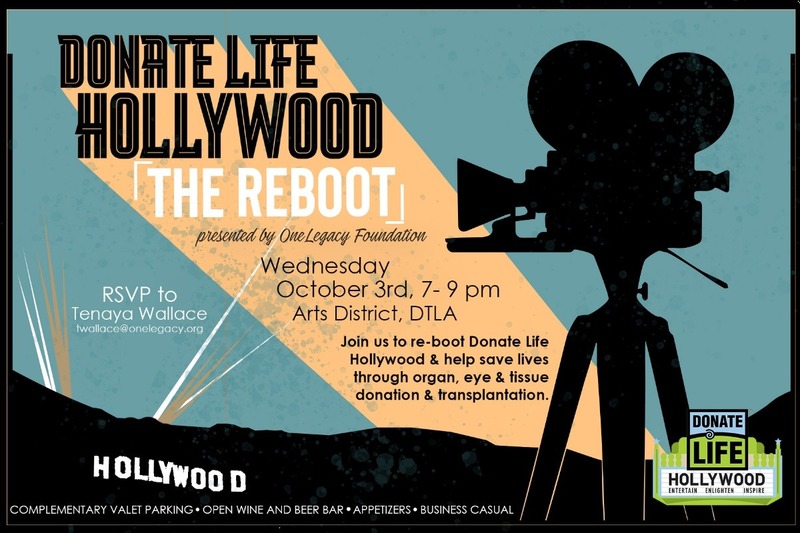 Donate Life Hollywood [The Re-boot] event will feature my documentary and five other organ donation-related projects spanning from documentary to scripted television to musical theater. I hope you can be a part of this uplifting evening and help inspire people to donate life.